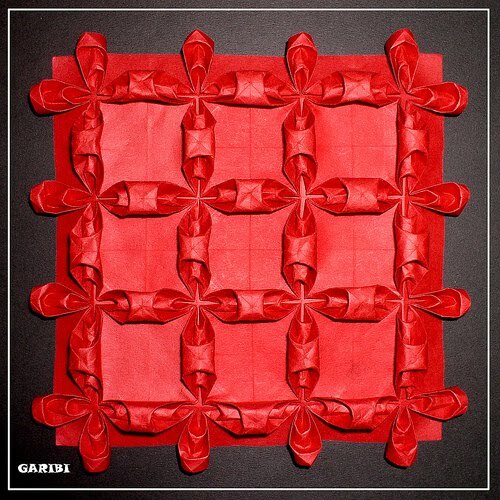 Israel's Ilan Garibi of Garibi Origami and an Etsy shop of the same name has been creating incredible origami sculptures for 33 years, but only in the past two has he turned to devising original creations. 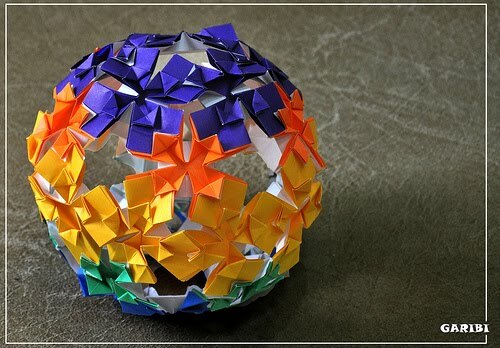 Judging by these pictures, it's no wonder his talent for prolific, complicated designs is attracting much attention in the world of paper folding. Having the genes of my father and two steady hands, I always preferred paper as my material. When I was in the sixth grade, a friend came to school with a [paper] flapping bird. At the exact moment he pulled the tail and the wings moved forward, you could hear the CLICK in my head, and I was totally hooked. The friend told me about the book that contained the directions to make the bird, Harbin's Origami 1, and since then, I haven't stopped folding. 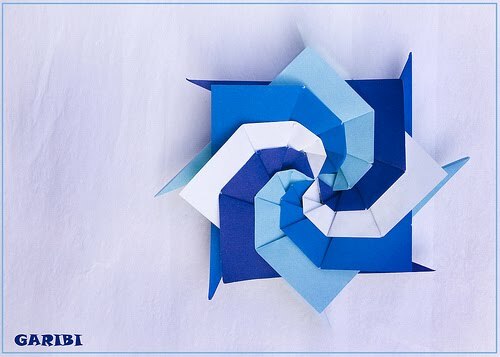 So you've been doing origami a very long time... is it your career now? As a 44 year old retired officer in the Israeli Defense Forces, people generally tend to go on the safe side and apply for a job in the military industry or become a consultant to the Ministry of Defense. 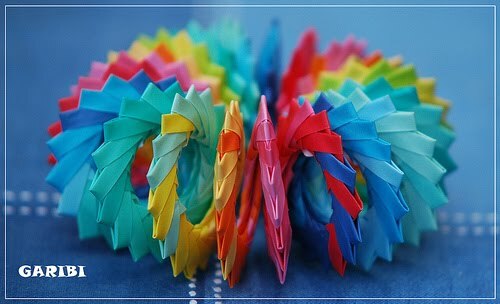 I do not follow those roads; instead, I try to make a living from origami and origami alone. 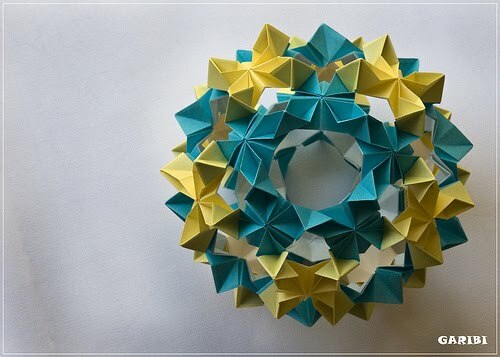 I have collaborated with Miri Golan and Paul Jackson, trying to spread Origametria... the teaching of geometry by origami. I read an article that said you would teach origami lessons in order to get soldiers up early - it sounded like it worked very well! When I was in service, many foldings ago, I was in my office by 6:15 every day. 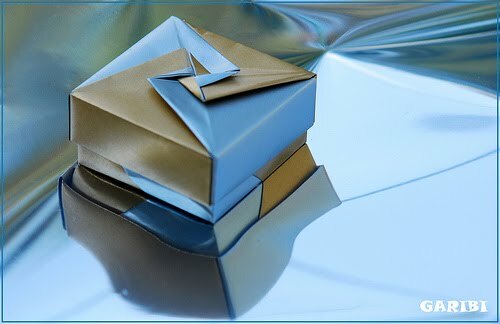 In order to encourage the soldiers to get to their computers as early as possible, every once in a while I would send an email at 6:30, saying "first 20 soldiers to reply to this message will be able to participate in an origami lesson from 11:00 until 12:00. Those lessons were always full... soldiers liked the idea of having a break from the serious business, to have their commander taking down his uniform shirt and teach the crane or a Ninja star. 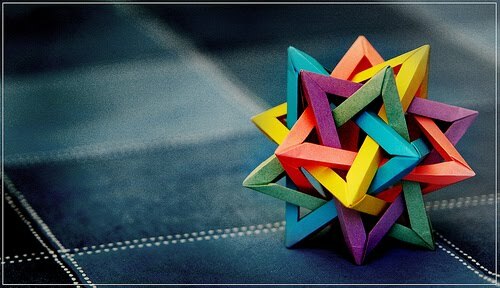 Do you still teach origami classes? 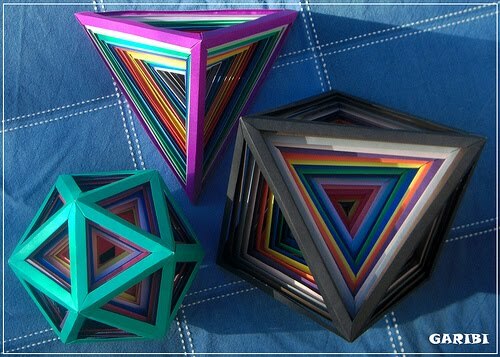 Yes, I teach at home, and via the local youth club, I teach creativity and multi-optional thinking through origami in a local science school for gifted students. I've written a book about the same topic, based on 40 models of my own. In addition, I voluntarily teach in a children's hospital, in a shelter for anorexic women, and sometimes my sons' classes. 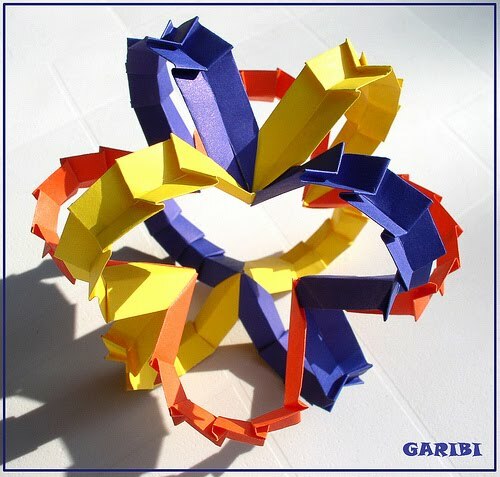 I organized an amateur's club, submit original designs to a column I write for BOS Magazine (British Origami Society), and helped to organize an international convention last year in Jerusalem. Do you exhibit in galleries and do you sell your work? In May 2009 I had an exhibition in a local cultural center and beginning October 14, I will have a bigger one in a gallery in Holon city. Soon I will try to sell my work. I think if someone buys your work, it is the greatest acknowledgement possible of your artistic ability. October Blooms is an award-winning piece Ilan entered in the Flickr Group Tessellation competition. 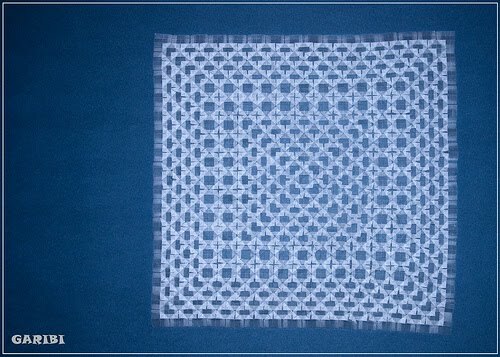 What is the most complicated piece you have ever done and roughly how long did it take to finish? 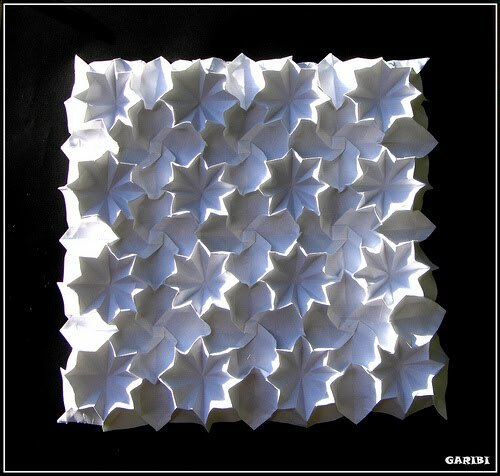 Cube Tessellation: the paper was divided into 128 x 128 squares and there were 1000 corners to be folded. The piece took 8 long days, working 2-3 hours daily. 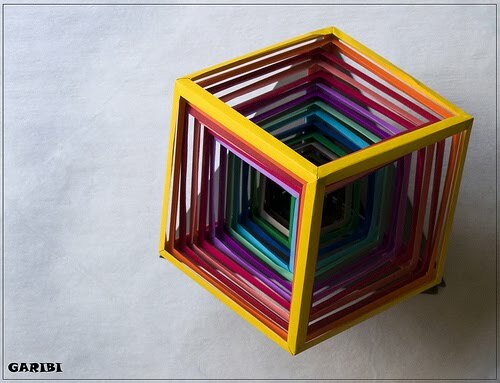 Some of Ilan's favorite pieces include the bright and colorful Ring of Rings and the Retractable Cube. 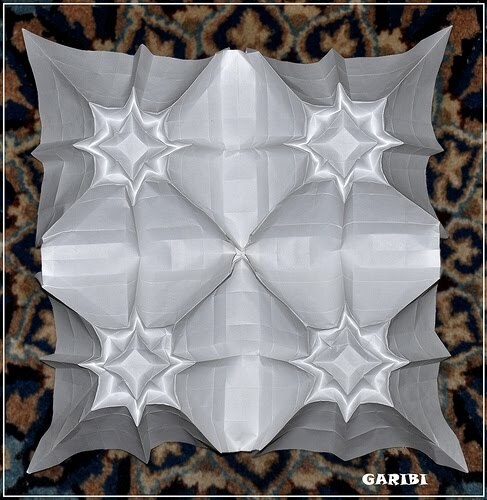 And this piece, Double-Tube 3D Tanny Tessellation, is his very favorite. 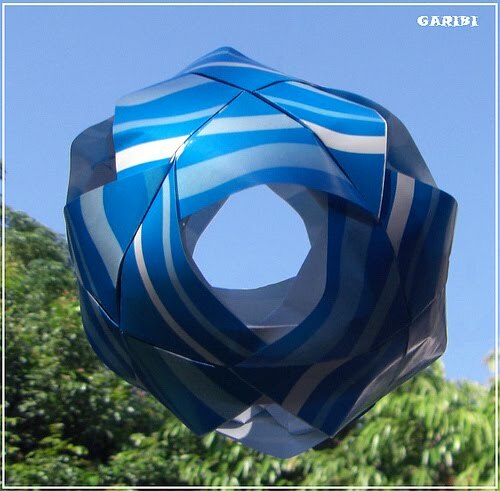 See more pictures of Ilan's stunning work on his website and via his Etsy shop GaribiOrigami. You are so talented it is really amazing that you can make all of that stuff!! I love it!! OMG this is so beautiful !